In 1921 Ireland was divided into two: Eire (now the Republic of Ireland), with a capital in Dublin, and northern Ireland, with a capital in Belfast. Northern Ireland is part of the United Kingdom, while the Republic of Ireland is independent. 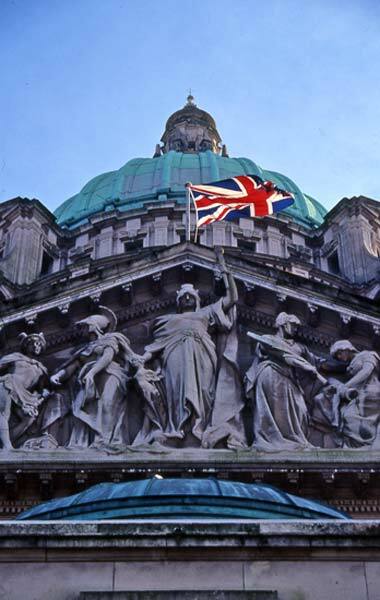 Despite continuing conflict between the south and the north, the Union Jack (the flag of the United Kingdom) still flies over the town hall in Belfast.